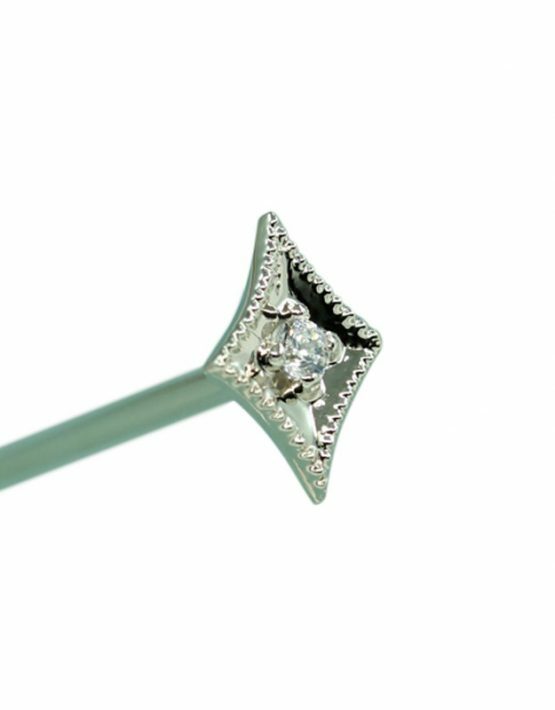 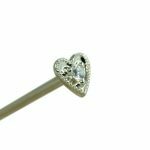 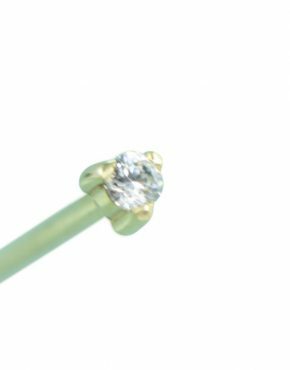 The shape of this 3x2mm Diamond-shaped stud with your choice of 1.25mm stone center features milgrained sides to add beauty and interest. 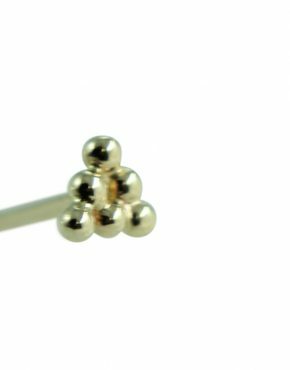 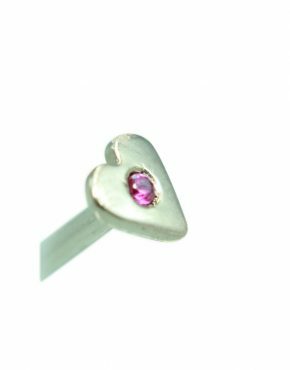 When you want to find a piece of body jewelry that will go with a wide variety of colors and looks, this beautiful stud is the choice for you. 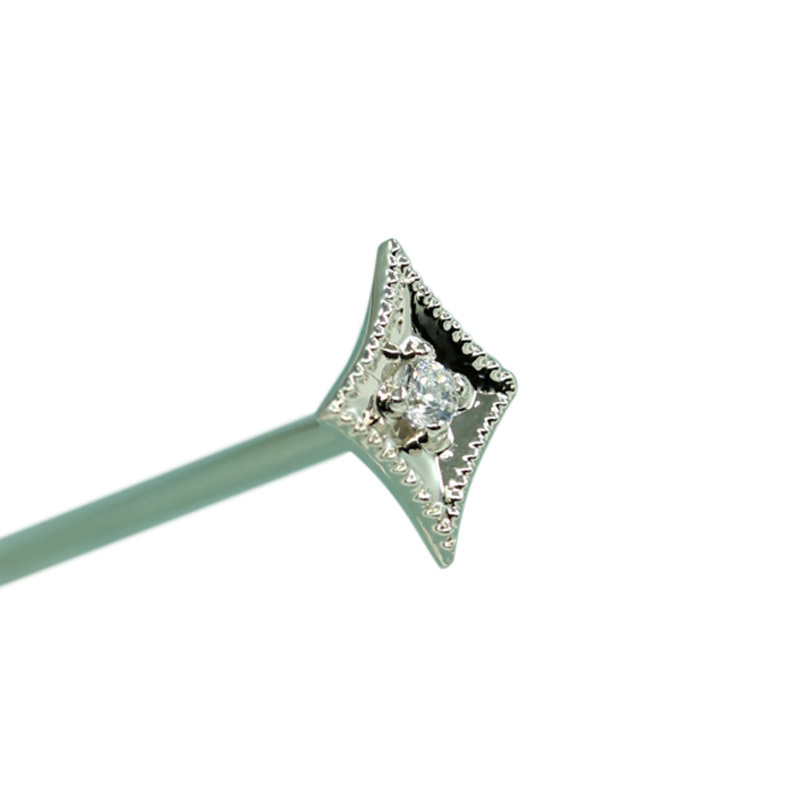 Available in selection of different gauge and post sizes to ensure that you get the proper look and fit.